ShowingFilter 1-20 of 3387 listings. 2Â days in CairoÂ and Giza day touts with private car and guide. 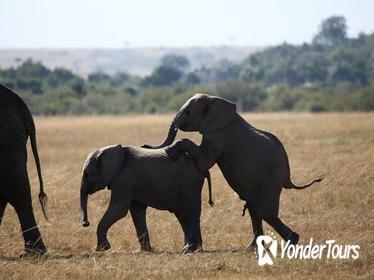 Experience Tanzania's wildlife and National Parks on this 2-day safari tour with a guide. 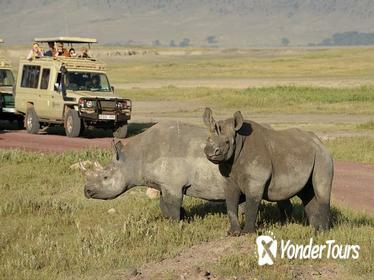 Travel from Arusha in a safari jeep 4x4 with your guide to Lake Manyara. Try to spot elephants, lions, and flamingos. Continue on to Tarangire National Park. 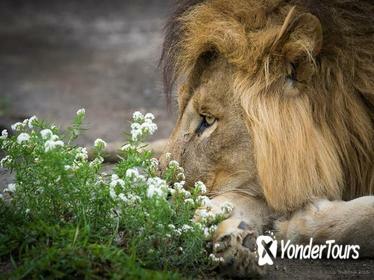 After dinner and a night in your selected accomodation, visit Ngorongoro Crater before returning to Arusha. Embark with us on these definitive Cape Town tour, the Best of Cape Town encompasses all of the city's top attractions and destinations. 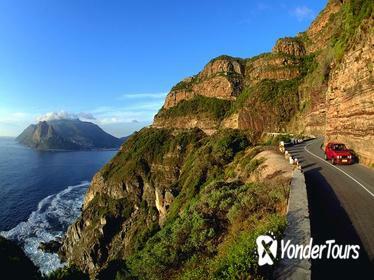 From the Blue Flag beaches of Camps Bay and Clifton, to the quiet village of Noordhoek, beautiful Cape Point Nature Reserve and warm beaches of False Bay, as well as the award-winning wine estates of Stellenbosch, you will be able to discover the many wonders of the Cape Peninsula and its many highlights. On the Shark Cage Diving, If you are looking for a unique of getting up-close and personal with one of nature's most awesome predators then look no further the shark Cage Diving is the perfect date with these Ocean Kings. This private 2-day trip to Lake Nakuru, Hells Gate and Lake Naivasha is the perfect quick getaway from Nairobi. 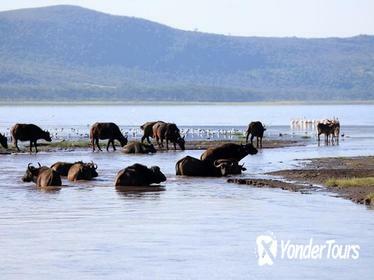 Not only do you see animals like birds and hippos on morning and afternoon game drives, but you also get to take a cycling tour of the park and go on a boat ride in Lake Naivasha. Overnight accommodation, activities, and transportation are already booked and paid for so you can enjoy the perfect getaway with minimal planning. 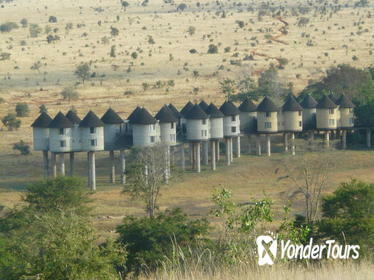 Leave Mombasa on safari to Tsavo East National Park and Taita Hills Wildlife Sanctuary with an overnight at Sarova Salt Lick Game Lodge, where you'll have aerial views of a watering hole that draws nocturnal wildlife. Daily game drives explore both wildlife reserves during the hours when animals are most active, packing a classic safari experience into an overnight escape from Mombasa. Immerse yourself in the magic of Egypt's Western Desert on this 2-day jeep adventure from Bahariya Oasis. 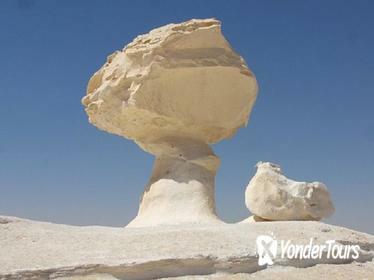 Aboard a comfortable, air-conditioned 4x4 with an expert driver, journey into the stunning White Desert, a land of otherworldly, wind-carved white limestone formations. View the volcanic-lava hills of the Black Desert, spend the night in a traditional Bedouin tent, and witness a desert sunrise. Finally, return to Bahariya and finish with a refreshing swim in the natural hot springs. Lunch, a campfire dinner under the stars, and breakfast on Day 2, are included. 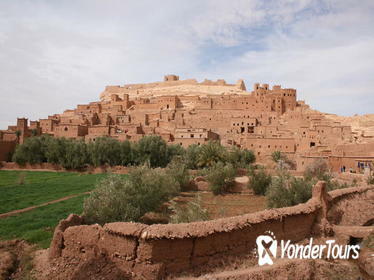 This 2-day Zagora desert tour from Marrakech is perfect for travelers who are short on time. 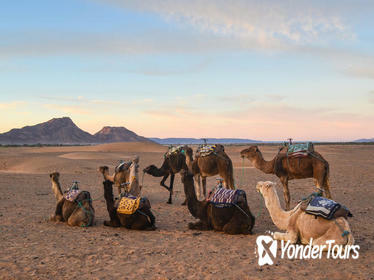 Experience riding a camel through the Sahara Desert, and pass through the High Atlas Mountains and Draa Valley. Plus, spend the night at a traditional desert camp under the stars. Marrakech hotel pickup and drop-off included for a seamless trip. 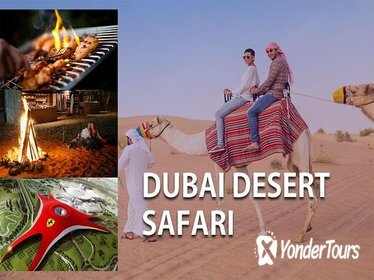 Enjoy this perfect combo tour of Quad Bike Desert Safari and Ferrari world Abu Dhabi.Quad bike Desert Safari is 6 hours of fun and adrenaline-filled activities in one of the massively splendid deserts in the United Arab Emirates . Your desert safari trip is a fusion of adventurous and cultural experience, followed by classy dinner under the patronage of stars.Ferrari World Abu Dhabi is the world largest indoor themed car racing park. Experience the ultimate thrill at the world's fastest roller coaster - Formula Rossa. The world's largest indoor themed park aimed to bring adventure, thrill and fun to every walk of life. Getting to the kasbah of World Heritage-listed Ait-Ben-Haddou takes you through the High Atlas Mountains, best traversed with a guide. This 2-day journey includes tours in the towns of Zagora and Ouarzazate, with an overnight camp in the Sahara Desert reached by camel. Relax with convenient round-trip transport from Marrakech. For centuries travelers have been fascinated by the mystical allure of the Nile. A relaxing cruise in luxurious surroundings, alongside Egypt many archaeological wonders, provides the perfect combination for an unforgettable holiday. 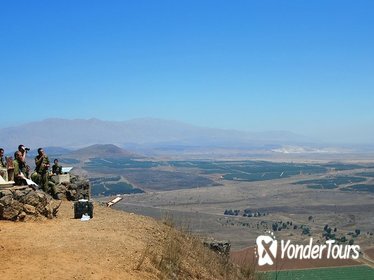 Discover the natural wonders of Israel during a 2-day tour of Golan Heights from Tel Aviv, Herzliya, and Netanya, ideal for travelers with limited time in the Middle East. Visit the Hammat Gader hot springs, from which you'll enjoy views of the Sea of Galilee, and admire Mt. Hermon, Israel's highest peak, and the former Syrian stronghold of Mt. Bental. All entrance fees, accommodation, and hotel pickup and drop-off are included on this small-group tour, limited to 15 people. 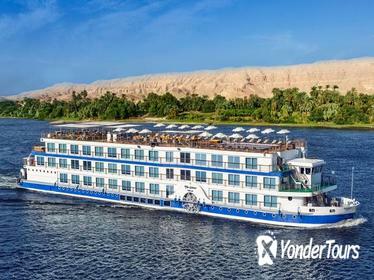 Visit the most famous sites and attractions between Aswan and Luxor, Egypt Nile River Cruises have a fixed schedule and determined landing points. Every few hours, you will get alarm from your Nile Cruise to stop and walk to these huge temples and tombs in Aswan and Luxor to take amazing shots, enjoy visiting Philae temple, High Dam, Unfinished Obelisk, Koum Oumbo Temple, Edfu Temple, Valley of the Kings, Temple of Queen Hatshipsut, Colossi of Memnon, Karnak Temples and Luxor Temple. Explore ancient Giza, the Museum of Egyptian Antiquities, and other Cairo attractions on a two-day tour. After pickup at your Giza or Cairo hotel, travel with a private guide to the Great Pyramids, the Sphinx, and the Sakkara and Dashure pyramids. Check out the King Tut exhibit, stop by the Citadel, and shop for brassware, leather and other fine products at the historic Khan El Khalili Bazaar. Explore Amboseli National Park on a 3-day safari from Nairobi that can be fully tailored to your preferences. Exclusive private safaris offer accommodations from a luxurious lodge to classic tents, or you can select a cost-effective shared option with a small group of travelers. Whatever you choose, enjoy daily game drives at the base of Mount Kilimanjaro, with the chance to spot vast elephant herds, brilliant birds, and top predators. While you are in Arusha town or nearby areas, donâ€™t spend your days there. Enjoy your your two days by visiting Lake Manyara National Park the famous tree climbing lions or Tarangire National parkone one of Tanzaniaâ€™s â€˜secretâ€™ wildlife havensâ€¦ teeming with large populations of elephant, predators and their fleet-footed prey , and Ngoro Ngoro Crater, the eighth wonder of the world. 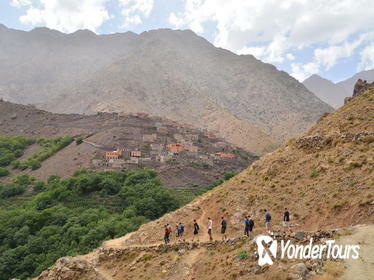 Traverse the Atlas Mountains of Morocco and local Berber villages during this 3-day hiking tour from Marrakesh. Reach heights of roughly 9600 feet (2930 meters) and pass through beautiful valleys and landscapes throughout the tour. 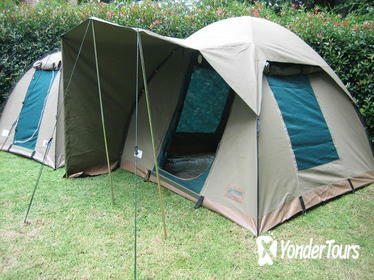 Spend the nights in local lodges and all meals during the three days are included in the price of the tour. 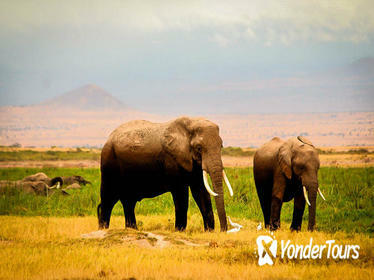 This 3-day tour to Amboseli National Park lets you fully experience the park's main attractions without investing the time and money into a longer trip. Daily game drives make the most of every day so that you have great chances of seeing zebra, giraffe, elephants, and more in the wild. Plus, your lodging, meals, and activities are already booked and paid for so you don't have to worry about any details. 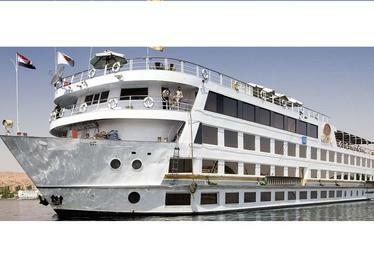 Private day tour from Aswan to see the highlights of Aswan and Nubia. 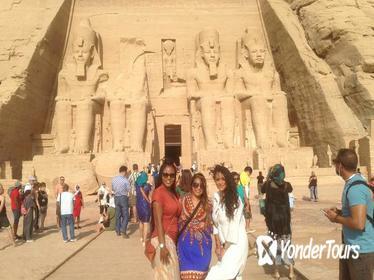 These highlights include the Abu Simbel Temple ,High Dam, the Temple of Philae and a Nubian village. You will be guided by a licensed Egyptologist tour guide and transported to all the sites by a private air-conditioned vehicle. Enjoy our Journey to Cairo, the heart of Egypt ,that takes you over 7000 years back in time, explore the ancient Egyptian city, the Islamic part and the Coptic part . 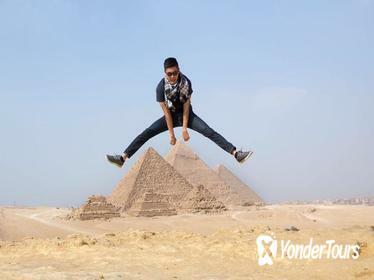 Get lost in time, Discover the pyramids and watch living history pass by as it has for centuries.